Please note that the year-end statement for 2018 has been sent out to all donors with email ids. For these donors, I do not have the email addresses. I will greatly appreciate if you could email me your email id to sageofkanchi@protonmail.com – I will send you the statements asap. 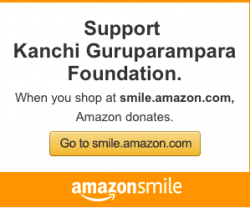 Some of you purchased Periyava books through me and wrote the check to KGF. Regardless of the form of support, I will send you the statement for your tax purpose. 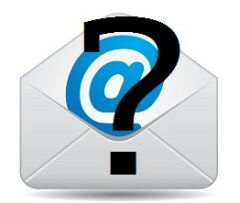 Please note that I do not have any other way to contact you besides the blog. On 21 Jan my youngest son performed Grihapravesham at Trichy. We received about Rs.7100/- as token blessings from invitees. We have added Rs.2,900/- from our side to it and have made it Rs.10,000/-. Now, please tell me to whom can I donate this sum. I am writing this to you because you being the lynchpin of this drive, would know better. This amount would be used for our ghorakshana for 2019. Thank you so much for your kind reply my dear Sri Mahesh. I shall certainly do as contained in it. Right now I am engaged in shifting my residence. In the next couple of days, I must do that. 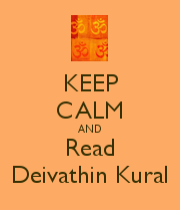 By Sri Periyavaa’s Blessings, I just completed transferring Rs.10,000/- to the account suggested by you. I have another project in mind of Rs.1,00,000/- to a Patasala at Mahendramangalam where there’s a Veda Patasala run by a Ganapaatigal and he has three very young Brahmacharis as his disciples. I want them to have a Cow so that they are well fed on milk and ghee. I propose to get them a Cow and pay towards its maintenance too with the request that the Cow should not be given away beyond its milk-yielding age and that I [and my sons] would take care of its maintenance in its old age too [They have ample space in their backyard for housing Cows — old and young]. Let us see. I will keep you posted on this development. I propose to visit Mahendramangalam the day-after-tomorrow. PS: The nice words you wrote about me is very soothing. But I am humbled by the thought that even to do “dharmam” it requires Divine Grace. The wealth that we all have is His/Her biksha to us. We are just an instrument in their hands transferring resources from one end to another. My email address: sriaiyerrs@gmail.com [SRI AIYER RS @ GMAIL.COM]. Sure, I shall keep you informed along with pics.